There are many sports around the world, such as baseball, basketball, and hockey. There are many dangerous sports, even for adults. Naturally, playing sports can be dangerous for children, too. However, many children play sports. The reason is that people get many benefits through playing sports and these outweigh the risks. 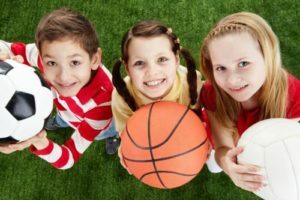 According to specialists and public opinion, children should play sports because it develops stronger muscles and bones, improves concentration, and develops team work skills. First, playing sports has physical benefits for children. According to “Top 10 Healthy Benefits of Youth Sports,” playing sports not only helps the growth of muscles and bones, but it helps to control weight and reduce fat. According to “The Best Sports for Kids Who Have Low Muscles Tone,” sports, such as swimming, develops stronger muscles and bones. Swimming builds their coordination. Moreover, it maintains children’s equilibrium better. Another benefit is controlling weight and reducing fat. According to “The Best Sports for Kids Who Have Low Muscles Tone,” cycling especially is a good sport. The reason is that only 40 minutes of bike riding can burn up to 500 calories. Another sport, running, is also good. The reason is that it is easy for children to run. Moreover, playing sports affects sleeping. According to “The impacts of physical activity on sleep,” playing sports is a great way to improve one’s sleep quality, by helping to regulate different sleep stages and cycles. The result of the sleeping duration test, which compared people playing sports with people not playing sports, showed that people playing sports increased their sleep by 14 minutes per day more than people not playing sports. It is important for people to sleep, so the result is influential. Second, playing sports can enrich people’s minds. According to “The Top 7 Mental Benefits of Sports,” playing sports three to five times a week for at least 30 minutes provides mental health benefits. Concretely, playing sports can improve people’s concentration. Playing sports can teach children how to win, and how to make good judgements. Playing sports involves not only exercising but also thinking. Therefore, playing sports can improve people’s concentration. Also, playing sports improves self-esteem. 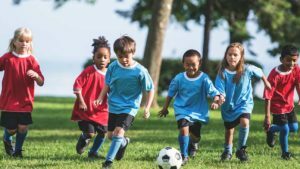 According to “Top 10 Health Benefits of Youth Sports,” being part of a team with similar goals and having important roles on a team will increase a child’s sense of value. High self-esteem is connected with confidence and peace of mind. Moreover, playing sports can reduce stress and depression. According to the Swiss Multicentric Adolescent Survey on Health (SMASH) study, playing sports is concerned with mental health. This experiment created a health and lifestyle questionnaire of 87 items, and involved a sample of 9268 young people. The results showed that people who play sports have a lower percentage of suicide and smoking than people who don’t play sports. The main reason is that Endorphins are secreted by playing sports. Endorphins are neurotransmitters, and they bring feelings of great happiness, for example “runner’s high.” According to “How Does Participating in a Sport Relieve Stress,” endorphins help release symptoms of stress and tension. Therefore, people who play sports create endorphins. In short, playing sports can greatly improve people’s minds. Finally, playing sports has some social benefits. According to the “Benefits of Teamwork in Sports,” playing sports can develop teamwork skills. Playing sports involves competition with others so children can learn how to better cooperate with their teammates. Children cooperate and think about how to win the game. Therefore, children can have a deep bond through playing sports that also leads to confidence. Mastering teamwork, children can deepen their bonds with teammates, and have more confidence. Especially, it is said that girls are more likely to have confidence through these experiences. Moreover, there is a benefit that can be used for daily life as well. According to “Social Benefits of Children’s Team Sports,” children who play sports can organize their time. Compared to children and adults, it is certain that children have more leisure, but children are not always playing. Children must do homework, go to clubs, and practice improving their skills in sports. Children who play sports understand that being late is not acceptable more than children who don’t play sports, because in sports, if someone is late, they know that the whole team will be inconvenienced. In conclusion, children should play sports because there are many benefits: improving their bodies, improving the ability to direct effort and attention on one thing, and developing their ability of working well together as team. 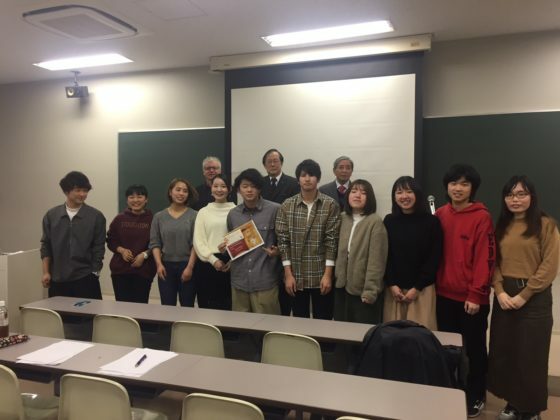 The annual BACS First-Year Speech Contest was held on Thursday, January 17th. 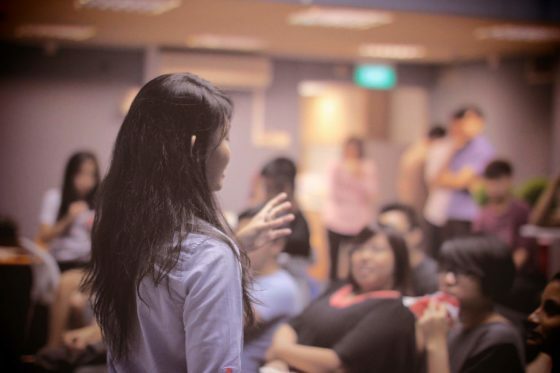 Two presentation contests for 2nd and 3rd year students were held in BACS in the spring semester. 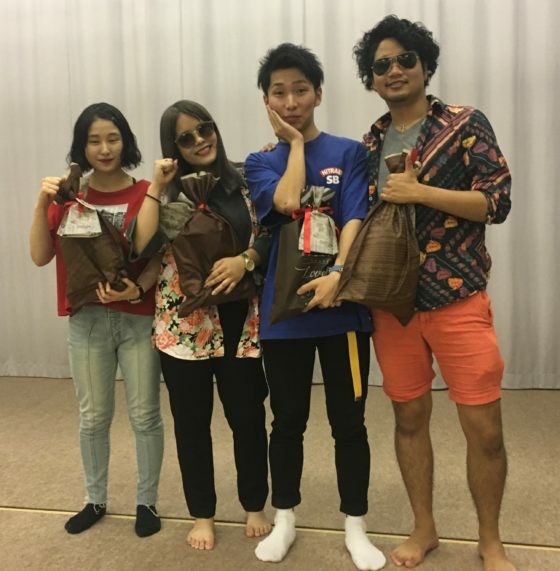 The 7th Annual English Skit and Performance Contest for 2nd year students was held on June 26th. Here are the winners of the 2017 Writing Awards. 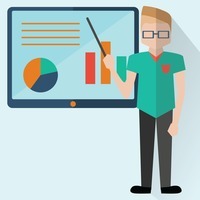 Copyright © 2019 Eigo Daily. All Rights Reserved. The Magazine Basic Theme by bavotasan.com.